Mainstay Villa auf Elsie Bay ist eine privat geführte Villa am südlichen zentralen Küste von Anguilla. Es bietet eine große Terrasse und einen privaten Pool, die außergewöhnliche Aussicht auf St. rühmt Martin & anderen benachbarten Inseln. Ausstattung :: Mainstay ist eine sehr großzügige Villa, die jeden Komfort und Bequemlichkeit bietet. Das Layout bietet schönen Meerblick von jedem Zimmer im Haus. Genießen konstante Brise und die ständig wechselnden Blick auf das Meer und Himmel. Die Sonnenuntergänge sind wirklich atemberaubend. Unsere Villa ist ideal für ein, zwei oder drei Paare. Es ist ein romantisches Refugium für viele Hochzeitsreisende und kann eine Familie von vier oder sechs leicht unterbringen. Waschmaschine / Trockner, Geschirrspüler, Waschmaschine, Bügeleisen, Mikrowelle, Kaffeemaschine, Mixer, Fön (2), Kabelfernsehen, WLAN-Internetzugang, Radio 300 CD-Wechsler (viele CDs), DVD-Player, iPod-Dockingstation, bewegliche Beach Chairs & Regenschirme, Tragbare Kühlbox, Strandtücher, Bücher & Spiele. Totally beautiful views with wonderful breezes. Pool was awesome, kids loved it. Would stay again in a heart beat. The pictures did not do the villa justice. You really are right on the waters edge. 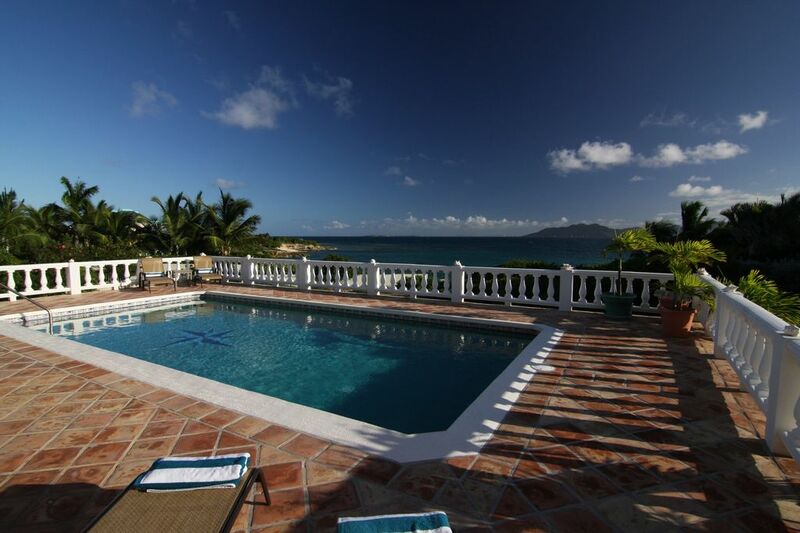 The villa is centrally located with the perfect amount of privacy without feeling completely remote. And the little pocket beach of Elsie Bay is great for snorkeling. Everything we needed was available and in good condition - the BBQ, kitchen ware (pick up some fresh fish at the Fishery after 5:30pm and cook in) beach chairs, towels, and the skin saving umbrella. The island is very small and quiet. Never a wait at a restaurant, and everyone was genuinely friendly and would take time to answer any questions or offer suggestions. In the evening, plan to hang out on the veranda with some good music (big CD collection and an iPod doc) and pick out constellations since there is not a lot going on on the island otherwise. But that's part of its charm.